Memorial Day is this weekend, when we take the time to honor and remember those that have passed away while serving in the armed forces. If you know someone who is a veteran, make sure to take some time to honor their life and memory. 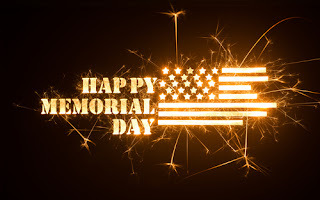 Despite the somber tone, Memorial Day has also come to represent a time when the extended weekend yields many events. For example, the Anderson in Miami will be hosting its Miami Is an Island party on Sunday where artists like Kumi, Marcello Bentine, and Erick Paredes will be making appearances. Admission is free for this event. Musician Miguel along with rappers Lil Wayne, 2 Chainz, and Fabolous are all scheduled to perform throughout the weekend in Miami Beach. Since we’re on the topic of music, the 10th annual Best of the Best International Music Festival is returning to Bayfront Park on Sunday and it will feature a number of artists from various genres like hip-hop, reggae, and R&B. South Beach will be coming to La Covacha in Doral on Saturday which will be hosting its 2K Pool Party which will have musical acts. If you’re a sports fan, Colombia will be facing off against Haiti at Marlins Park on Sunday at 5 pm during the Colombia vs. Haiti International Soccer Friendly. The Indianapolis 500 or Indy 500 is among the most well-known automobile races in the United States, held annually on Memorial Day weekend at the Indianapolis Motor Speedway. 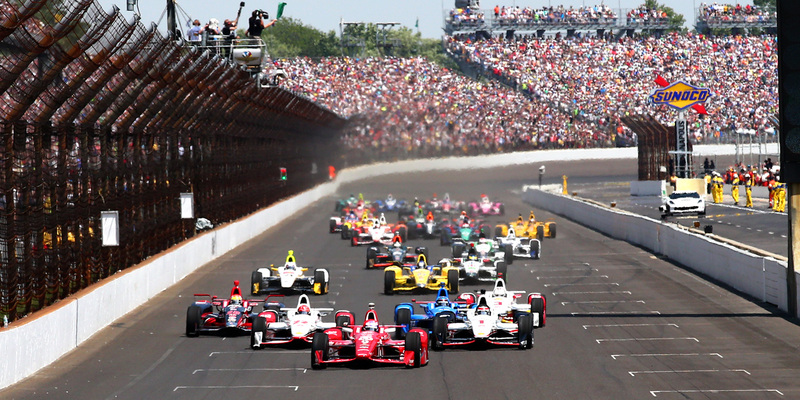 Often referred to as “The Greatest Spectacle in Racing”, the Indy 500 makes up part of what’s called the Triple Crown of Motorsport and is typically attended by more than 270,000 people. This year marks the 100th running of the Indy 500 and it will feature Colombian-born defending champion Juan Pablo Montoya, one of just two drivers to have won the CART title in their rookie year and the only current driver to win two legs of the Triple Crown of Motorsport in its original definition. The lead up to this year’s Indy 500 kicks off today, beginning with a practice session followed by the Indy Lights Freedom 100 Practice and Qualifying and the Historic Race Car Laps on Thursday the 26th. Friday is Miller Lite Carb Day which includes the last practice session and Saturday is Legends Day Honoring Champions of the 500. The racing events and festivities culminate with the 100th Running of the Indy 500 on Sunday, May 29th. Comic Relief, Inc. is an American charity that once went by the name of America Gives Back. Even though it shares its name with the former Comic Relief USA charity, the two have nothing to do with each other. Instead, Comic Relief Inc. has become well-known for launching Red Nose Day, the primary method the charity uses to raise money. 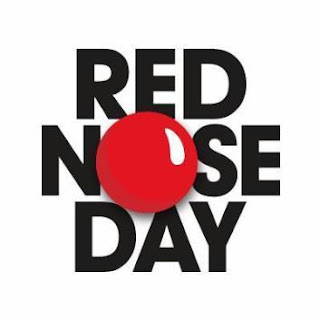 Red Nose Day is a fundraising event designed to assist children in the United States and around the world, helping to get them out of poverty and encouraging fun. The event—which originally began in the United Kingdom in 1988—has raised more than $1 billion globally during the last 25 years for some of the poorest communities in the world. During the Red Nose Day event, people come together to do something funny to raise money, whether that’s at work, school, or at home. The event had a successful U.S. launch last year and it includes a two-hour televised portion on NBC where many stars from movies, television, and music are expected to make an appearance on Thursday May 26. If you’d like to participate in the Red Nose Day festivities, you can purchase your red nose by visiting your local Walgreens. Snap some fun pictures and make sure to donate! Do you consider yourself a social butterfly of sorts? If so, there are several events happening this week week that provide plenty of culture and community. From museums to concerts and culinary, we’ve got you covered. Let’s take a look. 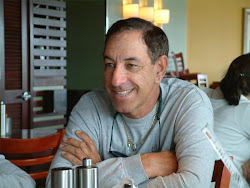 Are you familiar with Miami’s OpenStreetMap (OSM)? The community-driven project is designed to make geographical data free throughout the world and avoid the legal headaches with sharing or editing such data. Attendees will be gathering at The LAB Miami tonight at 7pm to update Miami’s map using a strict set of guidelines if you’d like to participate and help map out the Magic City. WeWork on Lincoln Road will be hosting the It Takes an Entourage event tonight between 7-9 pm. Businesswomen across several different industries will be sharing their advice and expertise on using your network to achieve success in your career and in life. The event is presented is by LEDA and costs $25. Head over to The Coral Gables Museum on Thursday and enjoy The New Tropic’s Coral Gables Neighborhood Happy Hour. There will be refreshments and live music plus exhibits highlighting George E. Merrick and the evolution of the city’s popular Miracle Mile. Tickets are free with RSVP and the event begins at 6 pm. On Friday producer Giraffage will be bringing his unique musical style to Bardot on Friday at 10 pm while Aquabooty is happening over at The Electric Pickle beginning at 10pm until 5 am. 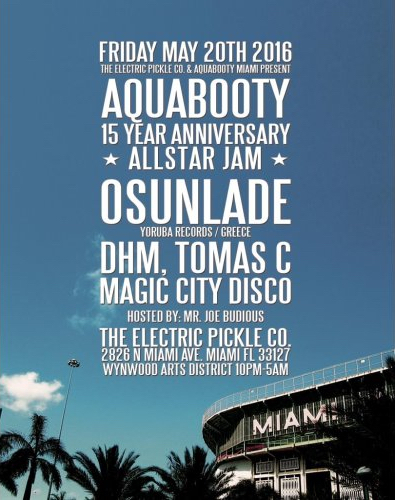 Aquabooty is Miami’s longest running deep dance party. Ladies: if you consider yourself an avid fishing fan, there’s a great event happening in just a couple of months you might want to learn more about and participate in. The “Ladies, Let’s Go Fishing” event is a two-day event beginning on August 13 at the Northeast Florida Marlin Association clubhouse where women can learn, practice, and go inshore or offshore charter fishing, learn new skills and participate in a fishing tournament. Besides the tournament, some of the classes and activities will include lure rigging, knot tying, cast netting, and much more. These classes will be followed by a reception plus an appetizer contest. There will also be an inshore and offshore fishing trip that’s optional where participants can catch fish like mackerel, wahoo, redfish, and trout. Those who choose to participate in the fishing trip will automatically be entered in the tournament. Though it’s geared towards women, ladies do have the choice of bringing along a male guest or teenagers if they wish to include family members. If you can’t make the Northeast Florida event, there are other Ladies, Let’s Go Fishing events held throughout the year in other parts of Florida. For more information visit http://ladiesletsgofishing.com/. It’s a new week and a new opportunity to enjoy and participate in different activities, including cheering on our favorite local basketball team the Miami Heat. Without further ado, let’s get started. Today is Women’s Checkup Day, and its name is pretty self-explanatory. The day serves as a reminder to women to make sure they schedule their annual check up. Not only is an annual check up important for health, it can also serve as a way to detect early signs of cancer and improve the odds of fighting it. On a lighter note, today is also Moscato Day. Whether you have some at home or are planning on going out to eat tonight, get the week started on a positive note with a nice glass of Italian vino. You may also raise a toast to the Miami Heat who will be facing off in game four against the Toronto Raptors at the American Airlines Arena tonight at 8 pm. If you’re an avid film fan, tomorrow is the beginning of the Cannes Film Festival, considered to be among the most important film festivals of its kind in the world. Keeping with the arts, Tuesday also marks the opening day of ‘Beautiful: The Carole King Musical’ at the Broward Center for the Performing Arts. 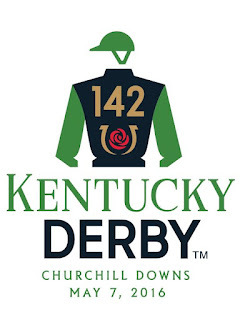 The Kentucky Derby remains one of the most well-known and exciting horse races in the United States. Held in Louisville on the first Saturday in May, the country’s “Fastest Two Minutes in Sports” has been running every single year since 1875 and it is also the country’s most attended stakes race. It is also the first in the Triple Crown of Thoroughbred Racing, followed by the Preakness Stakes and the Belmont Stakes race. 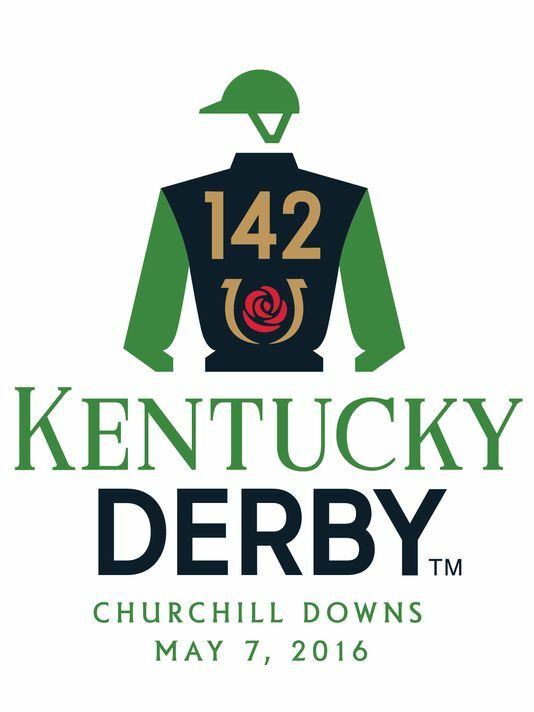 In case you’re unfamiliar with the Kentucky Derby, three-year-old Thoroughbred horses are raced on a one and one-quarter mile long stretch of dirt racetrack at Churchill Downs. Colts and geldings carry 126 pounds while fillies carry 121 pounds. A total of twenty horses compete in the Derby, larger than the majority of horse races. This year’s Kentucky Derby is happening tomorrow, May 7th and the competing horses include Trojan Nation, My Man Sam, Whitmore, Nyquist, and more. Tickets are almost sold out, but even if you aren’t attending you can still place bets on the horses. Does it seem like there is an unusually large amount of captains, sailors, pilots, and engineers roaming around Fort Lauderdale this week? It’s probably because they’re all a part of the annual Fleet Week, not to be confused with the Fort Lauderdale Air & Sea Show that’s also happening this week. The annual Fleet Week is approaching its 30th anniversary and is currently in its 26th year. It is run by the Broward Navy Days nonprofit organization and is a celebration of Navy ships and their crews. Attendees will find six unique ships they can tour and it’s expected that Fleet Week will draw over 12,000 people. Though it may not be as familiar as the Air Show, Fleet Week is particularly important for sailors as it allows them to get a break from their normal routine. Sailors also have the opportunity to visit schools and hospitals during this time. Due to security reasons, anyone wanting to take a tour of one of the Fleet Week ships is required to pre-register. However, there are public events being held including an awards banquet and Marlins game on Thursday and a culinary competition being hosted at the Allied Kitchen and Bath on Saturday night. Drop by, say hi, and get a chance to thank sailors for their service. It’s a new week and a new month, which means a host of new events happening in Miami or near Miami Beach. Without further ado, let’s get right to it. This Wednesday, Wynwood Yard will be hosting its Cinco de Mayo festivities one day early. 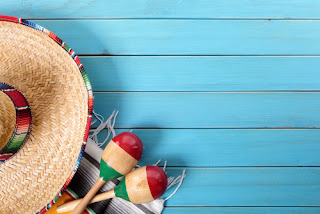 The Viva Mexico Class will feature Chef Sarah Myers as she teaches how to prepare some of the best Mexican themed dishes, margaritas, handmade guacamole, and hand-rolled tacos. The event kicks off at 7:30pm and tickets may still be available on Eventbrite. 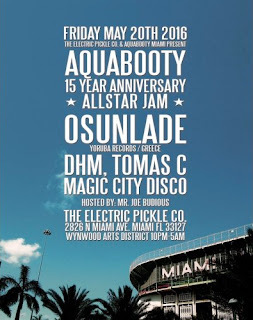 Spam Allstars is just one of the musical events making an appearance on Cinco de Mayo in front of Blackbird Ordinary as part of the Nacho Ordinary Festival which will also include several DJs plus Ketchy Shuby and Problem Kids. The block party begins at 4pm and is free to the public. Javier Garcia and his talented band will be performing as part of The Acoustic Carpet at Canvas Miami on Friday, May 6. It’s the first Acoustic Carpet event of the year and there will also be food trucks, handmade cocktails, plus brew and gelato courtesy of Mad Chille. The event begins at 7:10pm.